This Candy Man most certainly can. He doesn’t look much like Gene Wilder, or Johnny Depp for that matter, but Mitchell Cohen just might be the closest thing New York has to Willy Wonka. The third-generation candy merchant runs the oldest continuously open candy store in NYC, Economy Candy, on the Lower East Side. Economy is a sweet-tooth lover’s dream, densely packed with a mind-boggling array of every sort of candy you can think of and lots more you’ve never even heard of. Cohen was kind enough to take a break from wrapping up chocolate-dipped apricots to talk about his family business and Economy’s secret stash behind the counter—and answer an age-old riddle: Is gum candy? What Should We Do?! : How long has Economy Candy been around? Mitchell Cohen: We began as a shoe and hat repair shop, with a pushcart outside that sold candy. When the Depression hit in the 1930s, the candy cart started bringing in more business than the shoe store, so my family pivoted the business in 1937. It’s been a candy store ever since. 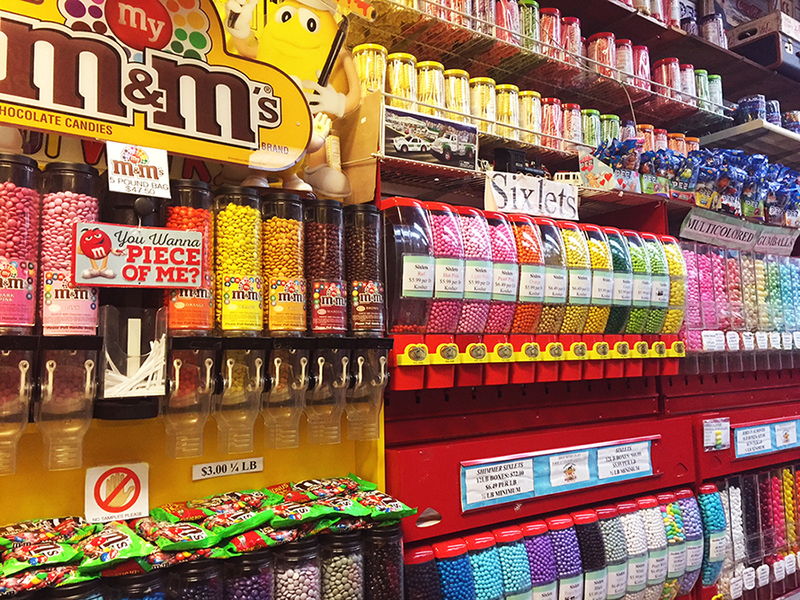 WSWD: What was it like growing up in a candy shop? Cohen: I would work Sundays and every holiday with my parents when I was younger. From the time I was 5, I stood on a milk crate next to my dad and worked the register. He would make me do the math in my head, no matter how long the line was. After working on Wall Street as an investment banker, I left that life to rejoin the store on a full-time basis in early 2013. I love working alongside my dad, who is also my best friend, and learning from him every day. My wife, Skye, also works with me at the register, as well as on our website, marketing materials, and other creative promotions. WSWD: In the extremely volatile New York business world, how has Economy Candy managed to stay open for so long? Cohen: It’s a testament to the hard work of my parents and grandparents. They always put the customer first and made sure Economy had the most variety at the lowest prices. Even today, we’d rather sell a larger quantity of product to more people around the country at low prices than sell at higher prices to fewer people. WSWD: When is the store busiest? Cohen: People always want candy, so we don’t ever have a slow season. We start the year with Valentine’s Day (when our biggest sellers are chocolate hearts); then jump right into Easter (jelly beans, chocolate eggs) and Passover (chocolate-covered macaroons, fruit slices, chocolate-covered matzo). Summertime brings an influx of tourists. Then we have our big Halloween push, with tens of thousands of pounds of candy and chocolate headed out the door in less than a month. We round out the year with Thanksgiving (chocolate turkeys! ), then Christmas and Hanukkah, when we sell pretty much everything in the store to people looking for the perfect gift. In 2017, we started our Economy Candy by Decade tubs, which were a major hit. WSWD: What’s the largest bulk order that you can remember? 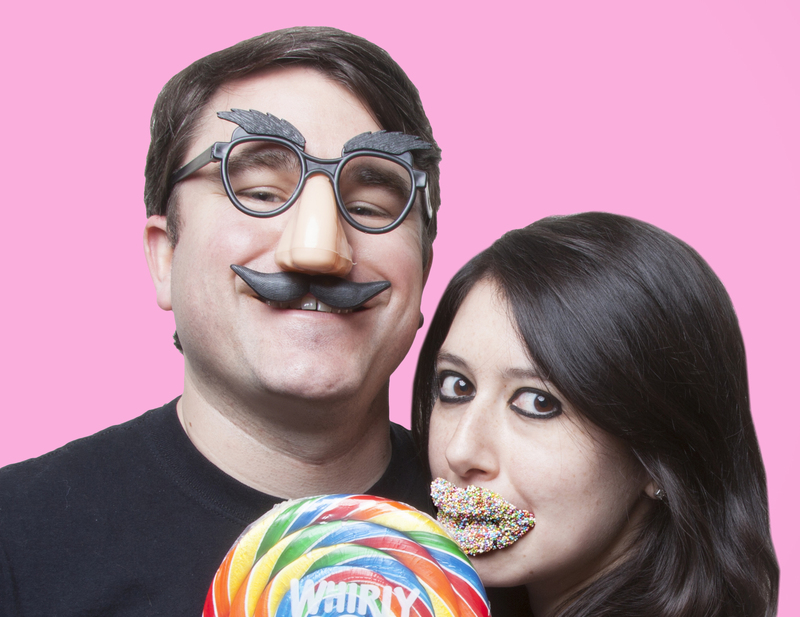 Cohen: This past Halloween we supplied all of the candy for the famous Upper West Side Halloween block party. That amounted to literally a half ton of bulk fun-size candy and chocolate packs! WSWD: Do you have a “white whale”—a candy that you would love to stock but that you just can’t get anymore? Cohen: A few years ago, a whole selection of old-school specialty gums—Black Jack, Beemans, Clove—were all discontinued. Not a day goes by that someone doesn’t ask about them. Cadbury owns the rights, so—fingers crossed—it might bring them back someday. WSWD: You carry giant gummy rats, pickle drops, and astronaut ice cream…what’s the weirdest candy you have in stock? Cohen: Uncle Oinker’s bacon-flavored mints have to be the grossest item we sell. The customer is always right, though; if enough people ask for anything, no matter how weird, we will get it. WSWD: You have a whole secret menu of options in glass jars behind the counter. What are you hiding back there? Cohen: It’s no great mystery! Unfortunately, both for sanitary reasons and for candy that doesn’t sell as briskly, we just can’t have the whole store be self-serve. We try to limit what’s on the floor to prepackaged items or mix-it-yourself products like the Jelly Belly jelly beans. If you want to ask for something a little esoteric from behind the counter, maybe consider the fruit Puntini or the sour lemon Napoleons. We also just got in a shipment of chocolate babies, which always go fast. WSWD: After all these years being around it, are you still a daily candy eater? Cohen: When I’m at work, I snack on cashews and almonds, as well as the occasional broken chocolate-covered pretzel. If there’s not a broken pretzel readily available, let’s just say there might be an accidental pretzel drop. WSWD: Licorice: Yes or no? Cohen: I apologize to the fans; for me, personally, it’s a hard no on black licorice. However, whenever I pack up a pound of Red Kookaburra Australian strawberry licorice, I always sneak a piece. That’s another one that’s behind the counter…you can ask for it by name! WSWD: I can’t think of anyone else I’d rather have definitively answer this question: Is gum candy? Cohen: Gum is definitely in the candy family…unless it’s sugar-free. Cohen: I’d start with an early brunch at Empanada Mama on my way to an afternoon Mets game. After that I’d get lost inside of Eataly, then take a quick car to the Bronx for an early dinner at Antonio’s on Arthur Avenue. Next, it’s tickets to see an Islanders playoff game from box seats. After they win, I would have just enough time to get to the late-night tasting at Del Posto. Binge-watching TV in bed with my wife and mimosas.